Post news Report RSS	Revamped secrets and other stuff! We have invested some love into our secret areas that you can find throughout the game. 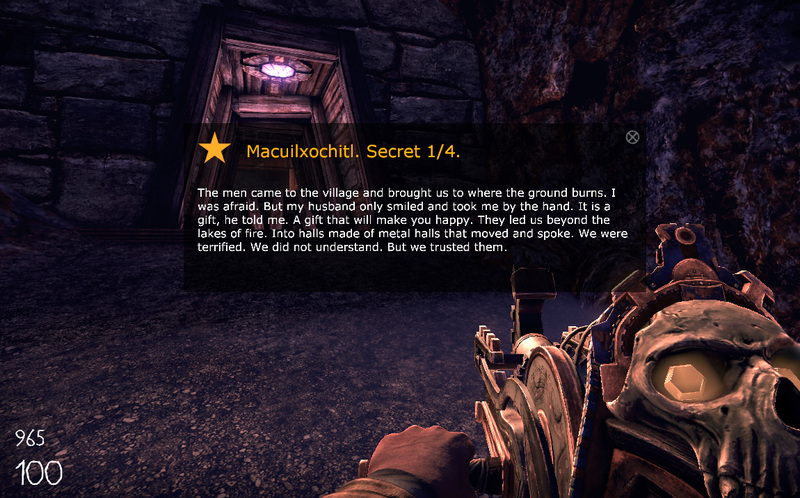 Short stories are added to them to give them more of a purpose for the player. In other news we have a new programmer on board. His name is Arthur Denardou! We have invested some love into our secret areas that you can find throughout the game. 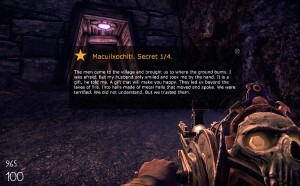 We felt that the secrets didn't get the attention that they deserved in our previous versions of the game. As a player you didn't get any proper reward for finding one. Now we have addressed that and made each of them unique. Our writer Will Drekker has written 35 short stories, and we have added one of these short stories to every secret. These stories, written by the original inhabitants, will give you a much better insight into the lore and history of our world! These stories will also reflect the environment and their surroundings, so as you travel deeper into the volcano they change to a more dark and sinister tone. "There is talk of the forbidden place. The people mumble in huddled masses at the ends of every street. It is the device they speak of. All along the Tepetl Nation, from the great Teocalli through the jungle beneath the sky to the edge of the smoldering gates, whispers deafen the air with talk of dreams. We all feel what is coming." "The Tepetl Nation is tearing itself in two. Tradition grapples with Invention. Faith grapples with Science. The coloti create obscene mechanisms of war while the God King's loyal followers kidnap and brutalize. There is no one left to cure the plague. The sickness flows from the forbidden place, I am certain! They punish us as we destroy ourselves." Here is an example of how it looks in-game. The names of our Secrets are all names of Gods by the way. Macuilxochitl is the God of Games. We have a new domain for the game. It is www.theballthegame.com Please use this for all you future The Ball inquiries (the old one will still be functional for the foreseeable future). We have done a few interviews for various magazines / internet sites. These interviews are not online yet, but we will let you know when they are. So stay tuned! An interesting interview with Mike Capps was posted over at g4tv.com. We were mentioned quite a few times in the interview, they talk about the MSU contest and various other things. You can find it here. We would also like to announce that we have a new guy on the team. His name is Arthur Denardou, and he will be our new programmer. Welcome! Next week we will show you some new content. We have been working hard to update some of our most used assets, like the buttons used throughout the game. Nice. We planned to do something very similar with DataRun (50 short stories associated with hidden pickups) - but never did.